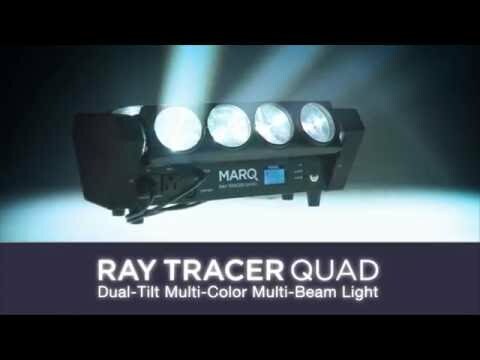 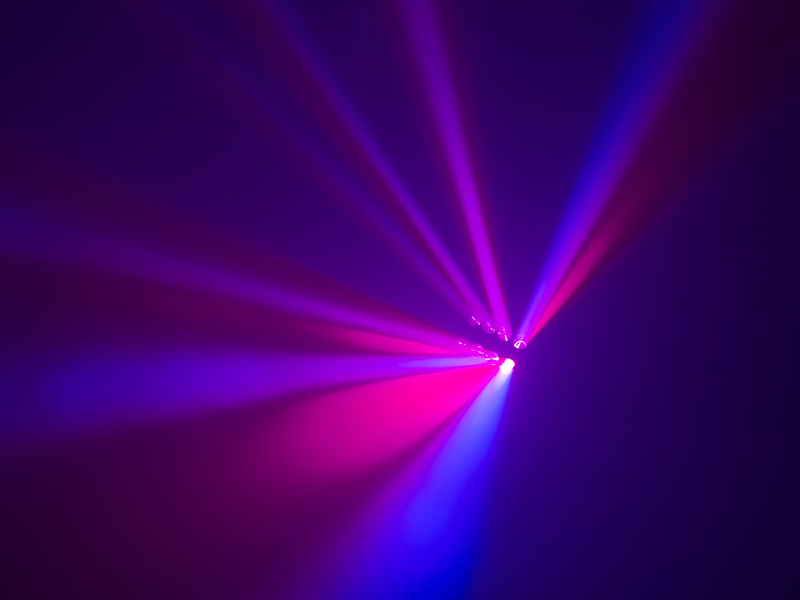 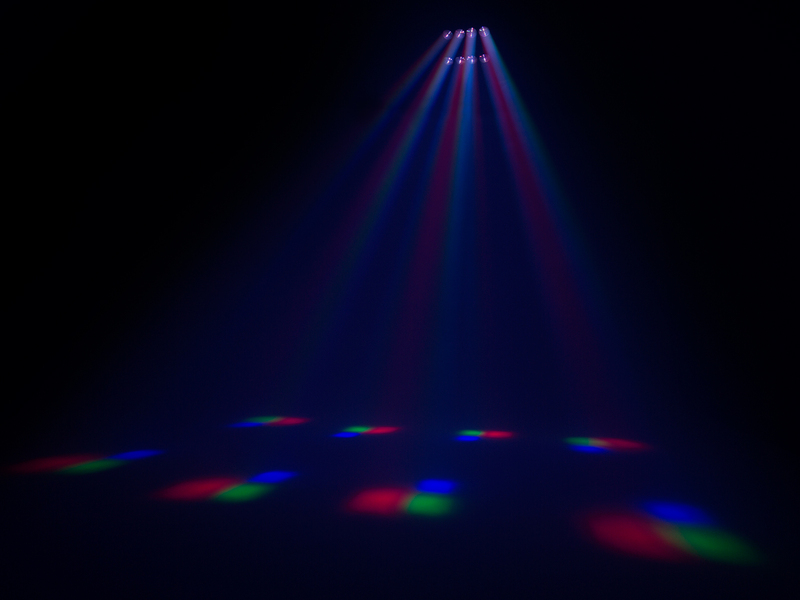 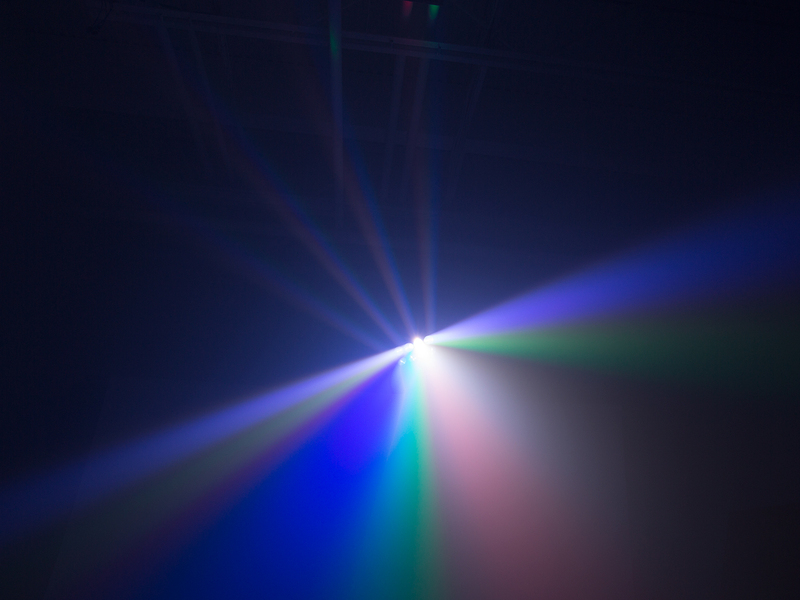 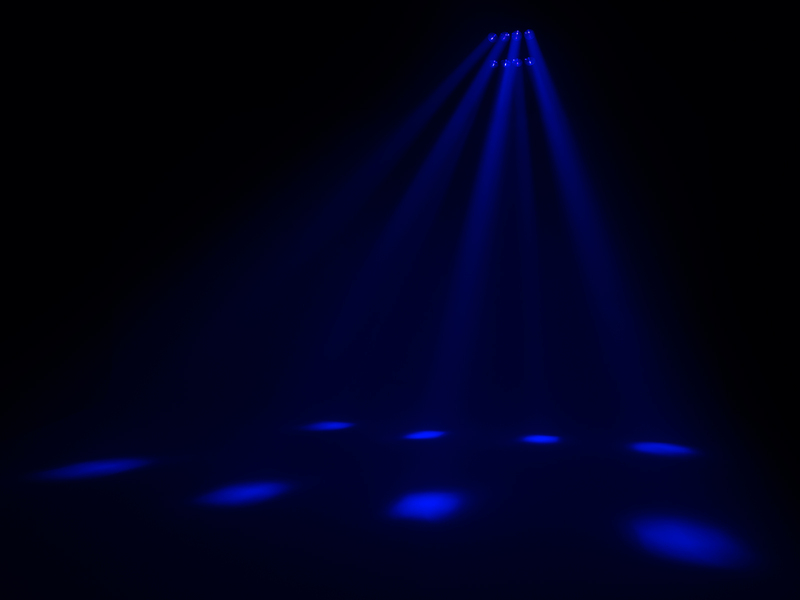 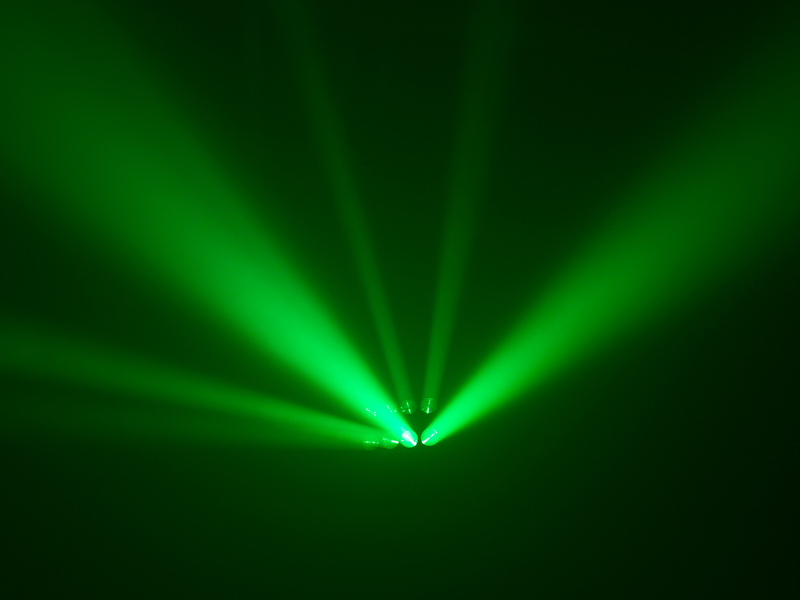 Ray Tracer Quad delivers 8 razor-sharp RGBW beams of light for astonishing aerial effects. 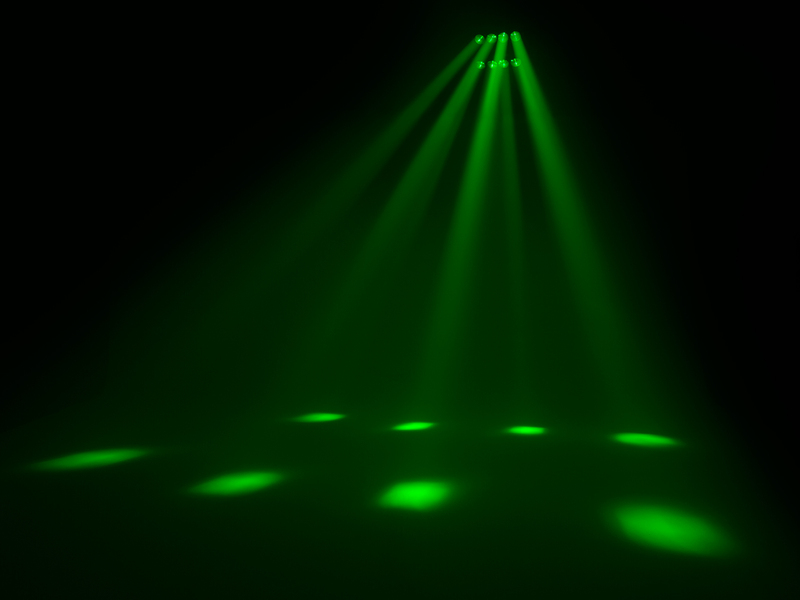 Two independently controlled rollers provide infinite and continuous panning. 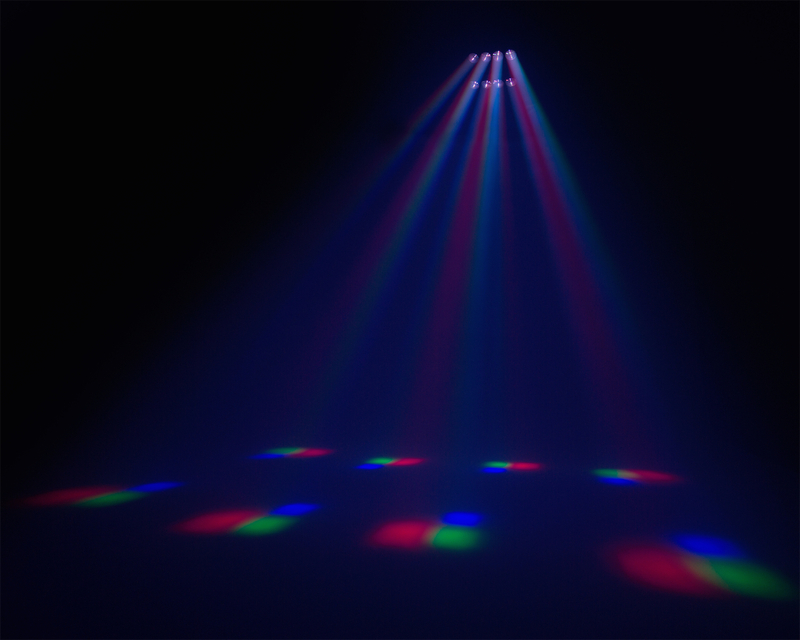 Individual LED control affords completely custom programming and animations, while the built-in color programs and movement macros cab create a dynamic lightshow without a separate controller.